This morning a national newspaper carried a story about the work of the Margaret Thatcher Centre. The story was misleading, in many respects factually incorrect, and in other respects simply untrue. Since our foundation the centre has made all fillings in accordance with charity law. No concerns have been put to us by the Charity Commission and no contact has been had from the Charity Commission despite what was stated as fact in the Times leader column. The Margaret Thatcher Centre will be taking action to correct the record from this discreditable journalism. In the meantime we will be continuing the important work the Centre was set up to achieve. Welcome to the online home of the Cherish Freedom Trust’s Margaret Thatcher Centre, an institution dedicated to educating future generations and sharing the story of Lady Thatcher’s life and legacy. As the 20th century’s longest serving Prime Minister and the first female Prime Minister, Margaret Thatcher was a model of courage and leadership and the policies which she championed, while controversial, continue to affect the UK to this day. Her years as Prime Minister and the legacy she has left behind will be debated, critiqued and revered in equal measures for years to come, and it is important that we encourage this conversation on one of our nation’s most important historical turning points. More than a mere archive of artifacts, the Centre seeks to keep this legacy and her era alive—and show how the impact she made on the world as Prime Minister can still be felt today. The Centre will provide engaging programming and exhibits for all visitors. On this website, you can learn more about our offerings for school children, university students, academic researchers, public servants, and the general public. The Margaret Thatcher Centre will also offer education and training in key life skills to assist the rise of a new generation of effective leaders and public servants from all sides of the political arena who want to serve their country. Originally conceived in 2009, the Centre received the personal backing of Lady Thatcher herself, as well as that of her close advisers and parliamentary colleagues. These endorsements are a testament to the importance of keeping her legacy alive for posterity. But now, we need your help, as well. If you would be interested in supporting this important educational undertaking and helping to fund the construction of The Margaret Thatcher Centre in Cambridge, please visit the webpage of our first donor club, The Pioneers, to learn more about partnering with the Centre, or by making your donation here, as well as consider contacting [email protected]com. Margaret Thatcher restored Britain’s pride. It is right that there is a lasting monument to her greatness. I am honoured to be a Patron of the Margaret Thatcher Centre and look forward to it shaping future generations’ knowledge of a most remarkable woman. The establishment of a Margaret Thatcher Centre to carry forward the ideals and unfinished work of Margaret Thatcher is to be welcomed. 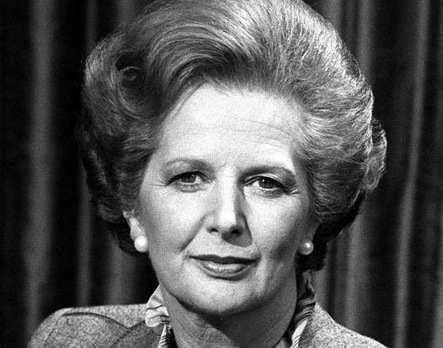 Margaret Thatcher was a giant among political leaders. It is right that she is honoured in the same way as past great Prime Ministers. The establishment of the Margaret Thatcher Centre is a worthy project that I am pleased to support. This project will ensure that people across the world will have a base at which to learn about Margaret Thatcher’s remarkable life and achievements for years to come. It is a project that I am proud to support. I can think no better tribute to her than the establishment of the Margaret Thatcher Centre. Lady Thatcher changed the political landscape in Britain and so we wanted something fitting her memory. She believed in action and so along with the usual statues and portraits we thought it was vital to do something that will continue to actively contribute toward political debate long after her death. As the nation reflects on the extraordinary achievements of Margaret Thatcher both at home and abroad, this is a timely moment to embark on a really exciting project to help future generations to understand both the magnitude of her impact and the inspirational personality which was Margaret Thatcher. It is critical that Margaret Thatcher’s remarkable legacy is protected for future generations. Like her good friend, Ronald Reagan, she knew that freedom was never more than one generation away from extinction. This exciting project, which Young America’s Foundation is proud to support, will allow thousands of people around the world to explore the life, values and achievements of Margaret Thatcher. Great idea for Thatcher “presidential” library. Important to support commemoration of great PM. I love museums, and am of course thrilled to read in The Sunday Telegraph that we are going to have a Thatcher foundation and museum in London, world capital of culture. I expect that it will embrace the spirit of this country’s greatest post-war prime minister, and have touches that are both traditional and up-to-date. Keep up to date with the project by joining as a member today.